The killer whale is the only other animal species that goes through the menopause. Victoria Gill joins scientists in search of matriarch whales and their wisdom to find why. Last summer BBC science reporter Victoria Gill took to the sea off the northwest coast of the USA with scientists who believe the killer whales in this part of the world can explain why the menopause evolved in both orca and our own species. Victoria encounters 'Granny' who was then the world's oldest known orca - a matriarch killer whale, estimated to have been 80 to 105 years old. Since the first broadcast of this programme, Granny (more properly known as J2) is believed to have died. J2 was one of a particular clan of killer whales known as the Southern Residents. This group has been at the centre of the longest running and most detailed study of a population of whales in the world. In 1976, the Center for Whale Research took up the task of identifying and counting every member of the Southern Residents, who inhabit the Salish Sea region between the USA and Canada. The project arose from fears that too many of members of the clan were being captured for the entertainment industry and taken to zoos and commercial 'dolphinariums'. One of the potential evolutionary explanations for the menopause in our own species is the 'Grandmother hypothesis'. In the killer whales, you might say it's a combination of the Grandmother and Italian Mother hypothesis. But according to Croft and Franks, even that doesn't completely solve the mystery of the menopause. So what might? Listen to some of Louiza Patikas's favourite radio moments from 2016. 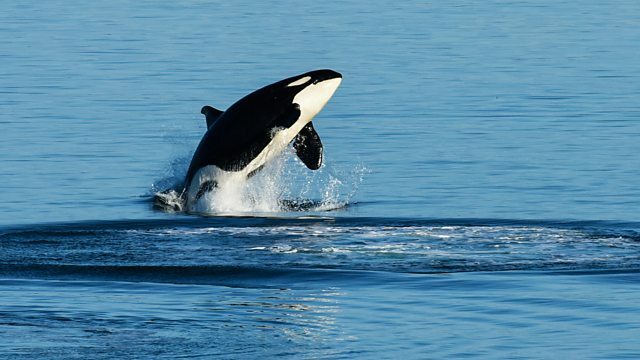 BBC News: What can killer whales teach us about the menopause?